How do I stream to Chromecast using VLC? I just downloaded VLC 3.0 Beta (using ubuntu ppa) and I wanted to know how to set it up to stream to chromecast. It's in the repo's NEWS that the feature has been added. Numerous news outlets are covering it. But, there is no example of how to actually use it yet. I know it's not in the GUI (having searched the source code). And, I have no idea how to use the code from the command line. Here is the Ubuntu PPA that I used to install it. However, it shouldn't matter. Nor, should the OS or system matter. It's just software. You can build it yourself or download a binary ("nightly") here. To make matters even better, you can actually add a delay on the video so it better syncs with the audio (sets the delay to 3100ms). 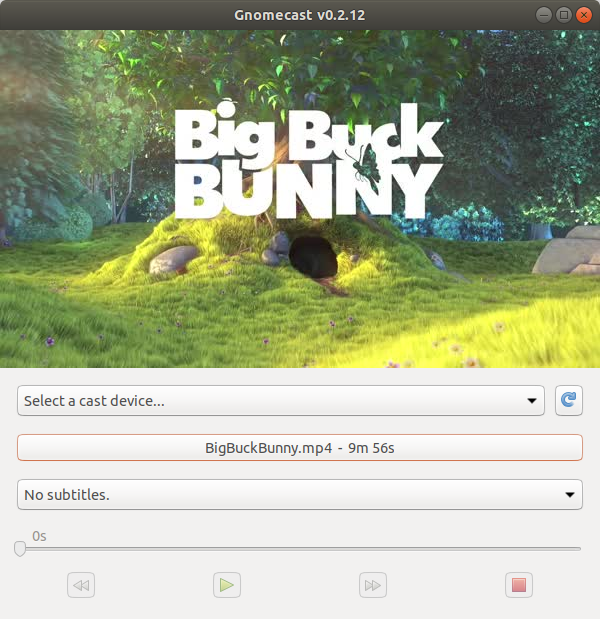 I was unhappy w/ VLC's casting support, so I wrote a dedicated linux GUI for casting a video file. Might be of use to you, assuming your underlying goal is casting a file, not specifically with VLC. Video > Renderer > "Chromecast"
From any page on your browser (i.e., its startpage), right click an choose "Cast"
P.S. : Audio won't be cast using this method. P.P.S. : Chromium may have trouble finding your Chromecast; to solve it, you must enable its chrome://flags/#load-media-router-component-extension flag. Hit Ctrl-o to open a local video file and play it in your browser. From the video controls on the bottom-right, expand the video to full screen. It will now be playing full screen on your TV and the audio should also be playing from your TV. Not the answer you're looking for? Browse other questions tagged vlc chromecast or ask your own question. How to resume YouTube videos in VLC? How do I re-stream a filtered video stream using VLC? Chromecast / Cubetek Ezcast with Linux computer? How to play a G2M4 encoded .wmv file (Ubuntu)?